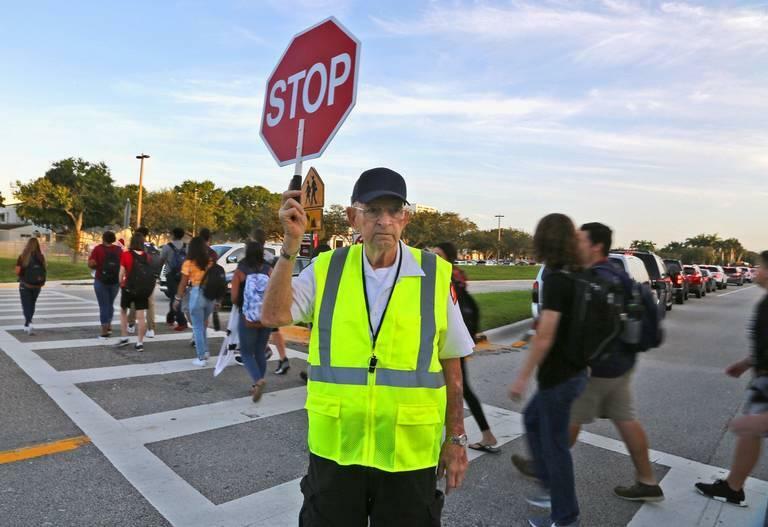 Crossing guard Tony Sorrentino helps Marjory Stoneman Douglas High School students return Wednesday for the first day of school. The next day, a student pulled the fire alarm. The alarm rang out in the early afternoon on Thursday, causing some students to relive the shooting that left 17 people dead six months ago. On Feb. 14, smoke from the gunman's AR-15 triggered a fire alarm that sent students into hallways as he continued to shoot. “The fire alarm just went off and it became dead silent. We all looked around and some people started to cry. This is not okay,” one student tweeted at 12:33 p.m. on Thursday. 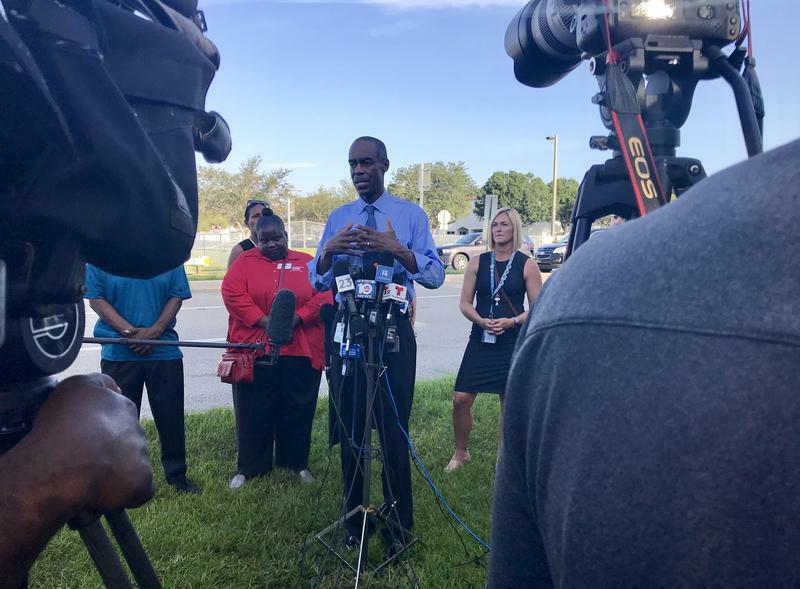 Administrators quickly determined there was not actually a fire, so the school was not evacuated, according to a spokeswoman for Broward County Public Schools. Tracy Clark confirmed the fire alarm was pulled but would not provide the name of the person responsible, citing privacy concerns. “If appropriate, there will be discipline,” Clark said. It’s not clear if there will be criminal charges filed against the student. School resource officers from Broward Sheriff’s Office were on campus during the incident; a spokesperson for the agency did not immediately respond to a request for comment on Friday. Broward County schools reopened on Wednesday with an increased security presence, as the result of a new state law requiring a police officer or armed guard on every campus. 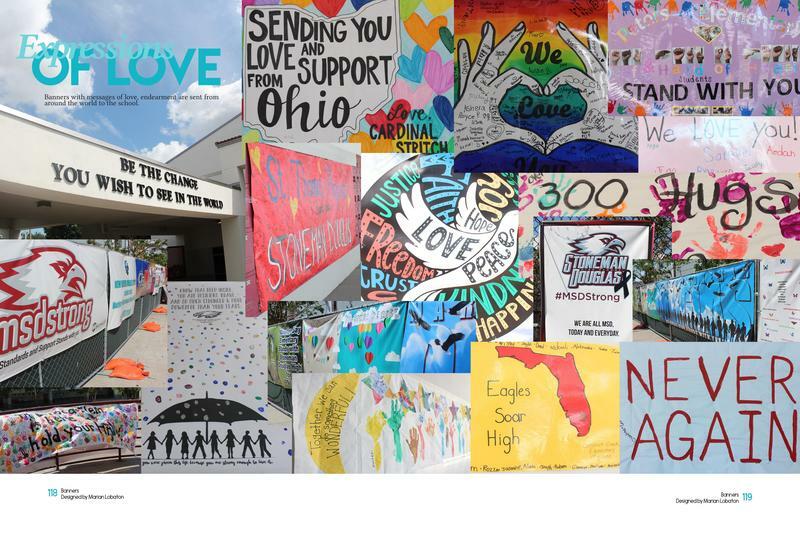 Superintendent Robert Runcie said the number of security guards at Stoneman Douglas has been doubled permanently since last school year, and a series of safety upgrades were made over the summer, including additional fencing, automatically locking classroom doors and new cameras and intercoms. There are also additional mental health offerings, including two portable classrooms where students can seek counseling. Day 1: Teacher showing us rocks for our “self defense”/ implying wanting to be an armed teacher. Day 2: Fire alarm being pulled, end of school day. Reliving the scariest moments of my life. Teacher being confused. Students in fear. ITS ONLY BEEN 2 DAYS! The fire alarm accidentally went off on the second day back to school. How are we expected to get through this year.